For as long as they have been around, computers have only understood a handful of languages. But they have never really comprehended spoken English. They have never seen a photograph and recognized it as El Capitan. Or gotten the drift of an email from one coworker to another. As one entrepreneur described to me, the most powerful tool most computer users employ is Microsoft Word, but the computer has no idea what the human is typing in that document. Contrast that with engineers, who speak computer languages, and can orchestrate thousands of machines working seamlessly together in order to crawl the Internet, target an advertisement, or prioritize the best lead for salesperson to call by writing code in a language the computer understands. I think it’s semantic understanding. We have seen the very first threads of this in products like Wolfram Alpha. 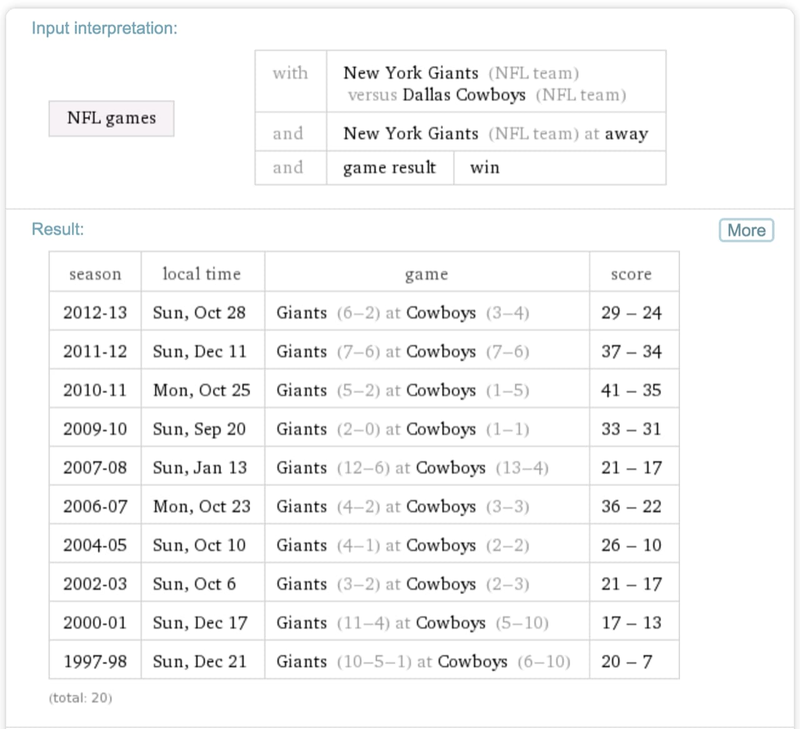 You can type in a query that asks, “Giants wins away games versus the Cowboys” and Wolfram Alpha will understand immediately that you are asking about the New York Giants (American football team), not the San Francisco Giants (baseball team). You’re asking about games that are played outside of New York, and against another football team called the Dallas Cowboys. And you’re probably asking this about the teams in the modern era because before 1926, the Cowboys were based in Kansas City. You can try all kinds of odd queries like quote what is the mass of the moon multiplied by the height of a blue whale? There is an incredible amount technology behind this. The product of that technology is a magical experience. In this case, the computer understands all the context and nuances associated with a question without it having to be provided. That is semantic understanding. Imagine mobile app that listens to your phone calls and automatically update the Salesforce record. Or a CRM that reads your emails, reminds you about your customer’s wedding anniversary and prompts you to send a note. Or a calendar that automatically reschedules meetings depending on the changing priorities in your day and your physical location. In all these cases, the computer uses contextual understanding to act. These products, and many many more, are not so far away. In fact, we have bits and pieces of these experiences already in products like Google Now, RelateIQ, Infer. But that’s just the beginning.